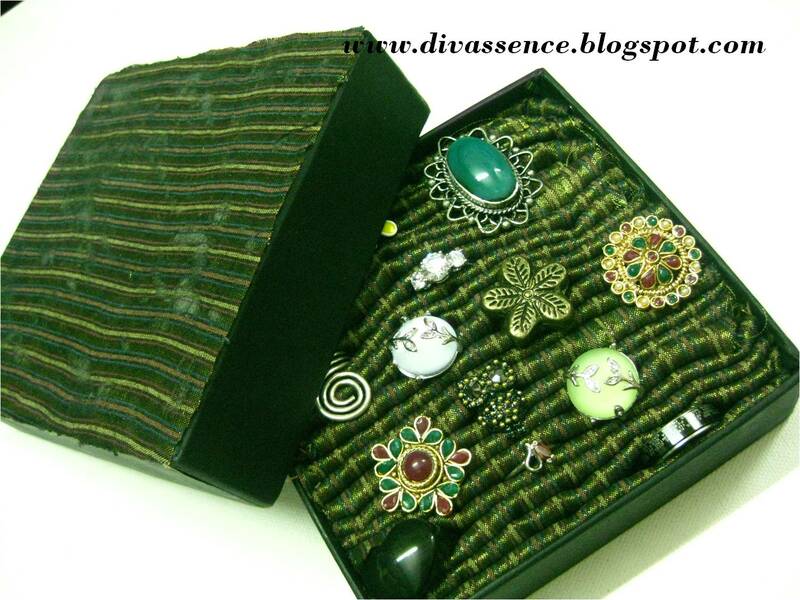 Space-wise: Easy DIY Ring Holder Box - Divassence! 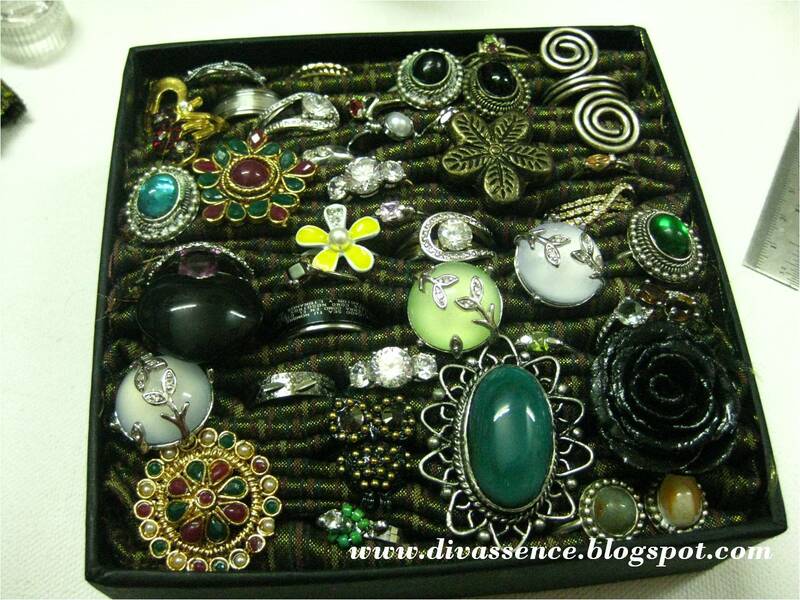 Few months back I was looking for some easy ideas to store all my rings in one place. 1. 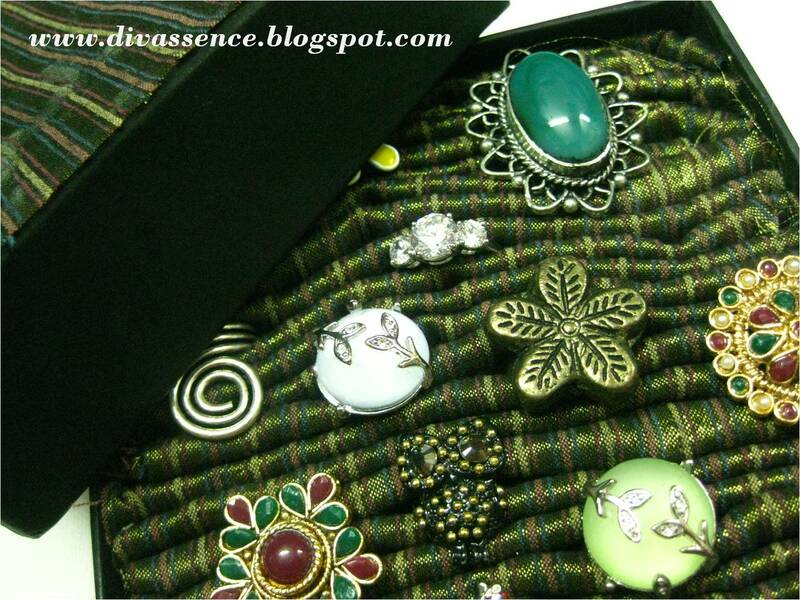 A Cloth, you can choose either a single color or multicolored ones based on your taste and availability. 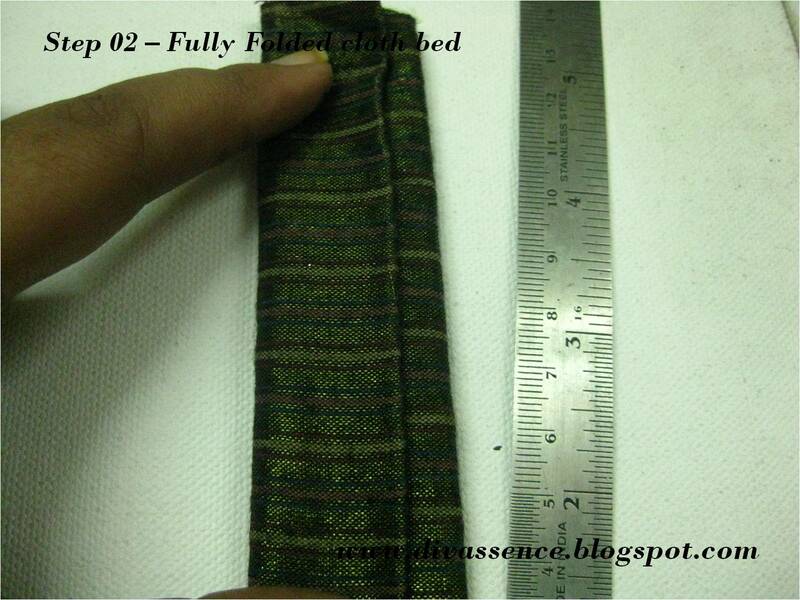 Here I have chosen a single colored cloth. It was actually an old skirt of a 5 year old 😛 (Uncle’s daughter :)). 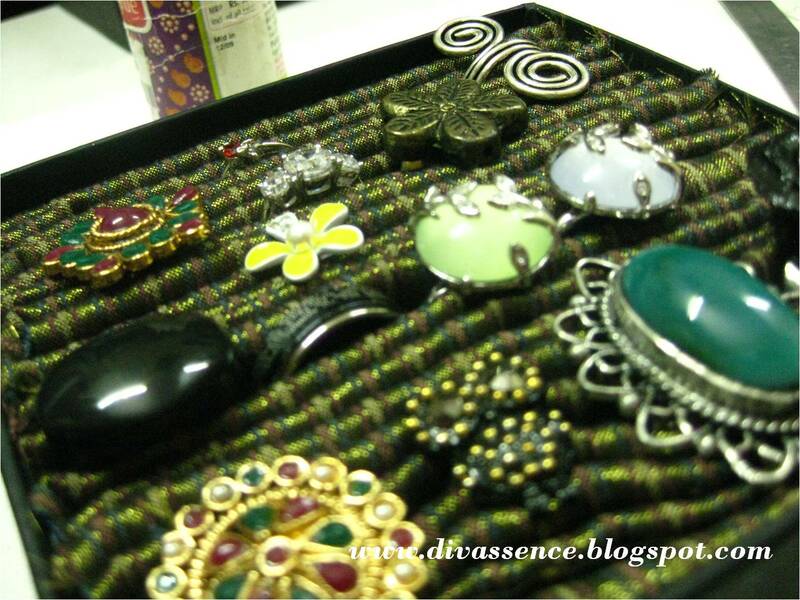 Try to use a thick fabric and not a satiny one as it should stay put inside the box. 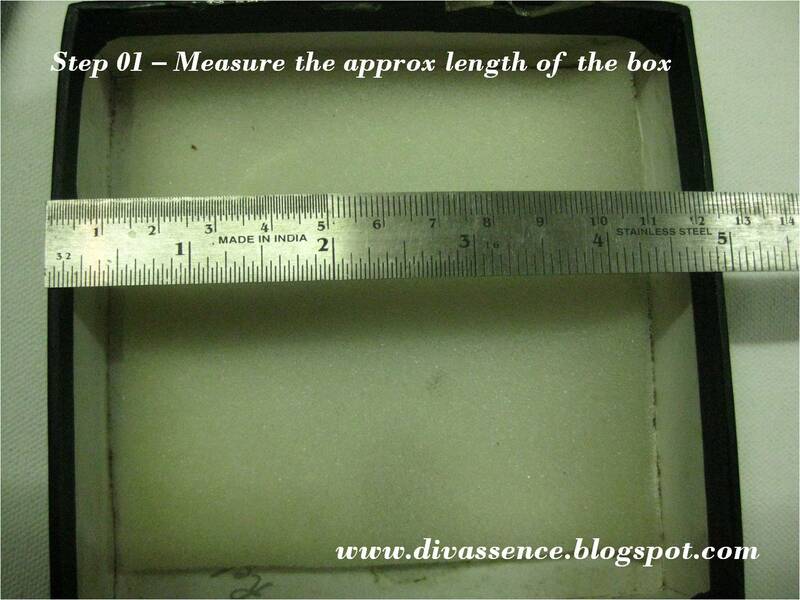 STEP-01: Using the scale, measure the inner length of the box. 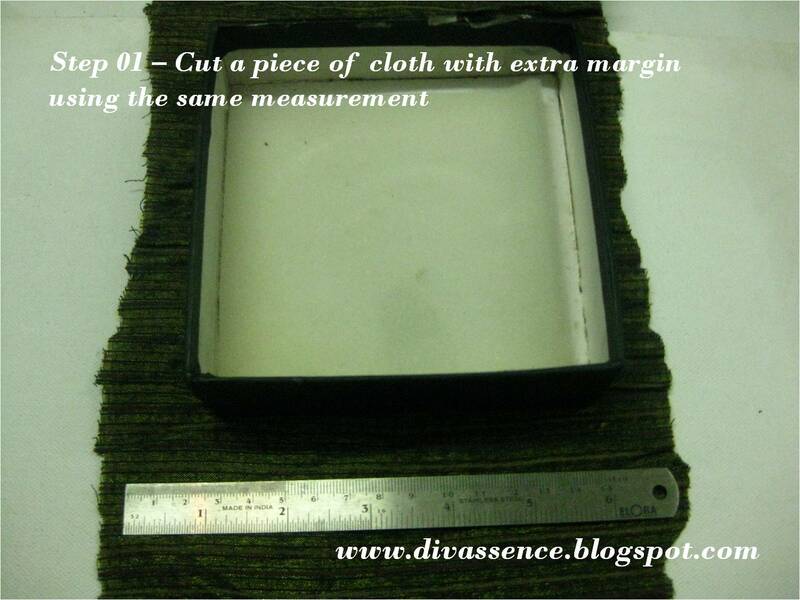 Now take that as an approximate measurement, add a buffer margin on both the sides and use that as the width of the cloth bed. 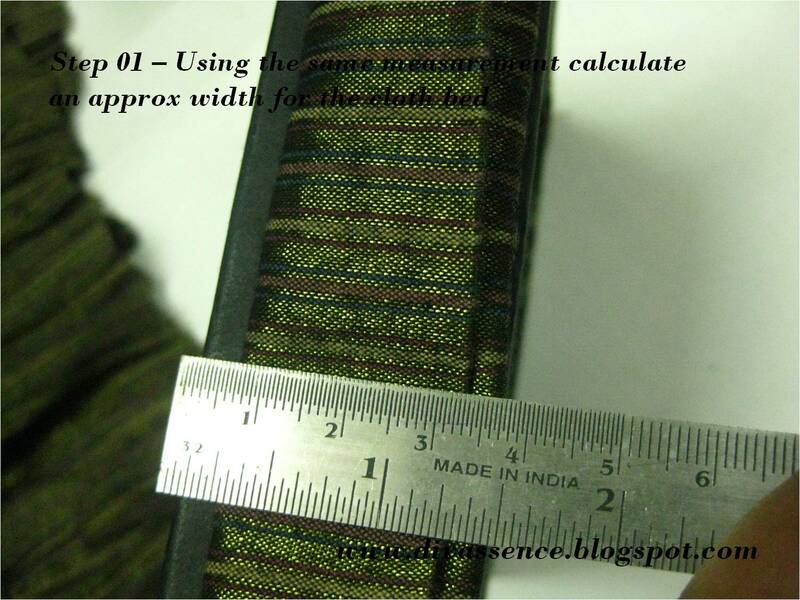 For instance if the inner length is 12.5 cms as shown in the picture, keep approx 1.5 cms buffer margin on both the sides and this will be the width of your cloth bed. 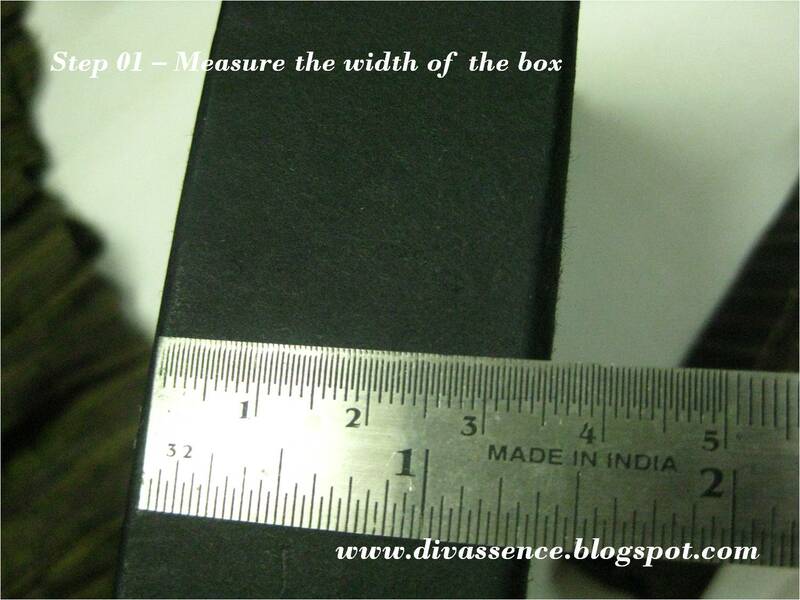 Now measure the side width of the box, for instance in our case we have got 3.5 cms inner width hence we need to subtract half a cm from the total and use 3 cms to measure the cloth. 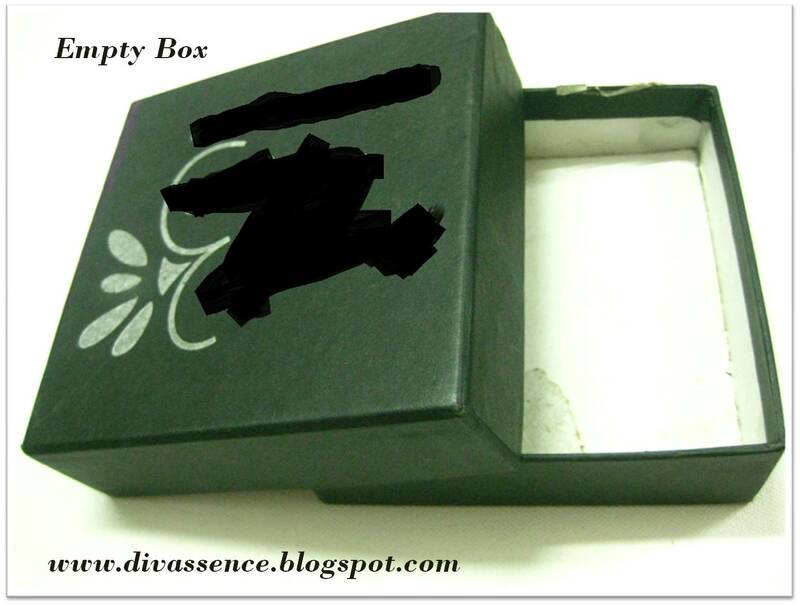 We are doing this because we need the cloth to fit inside the box perfectly. 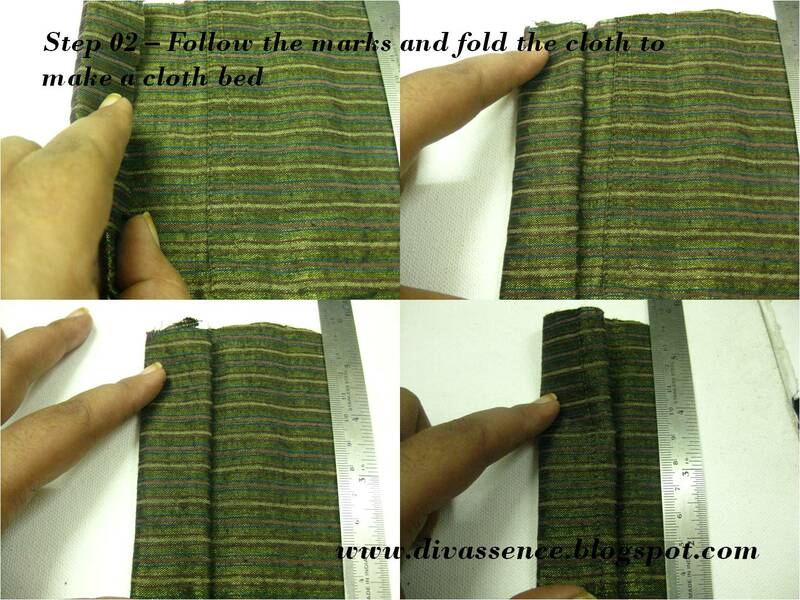 STEP02: To make a cloth bed, follow the marks and start folding the cloth as shown below. You will be folding it about 5 times approx. 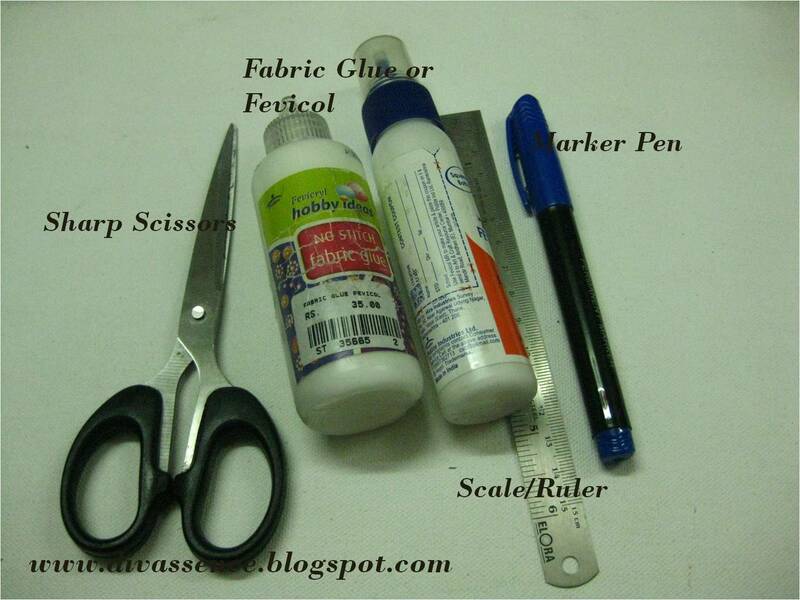 Now use a fabric glue or fevicol and stick the end of the cloth firmly. 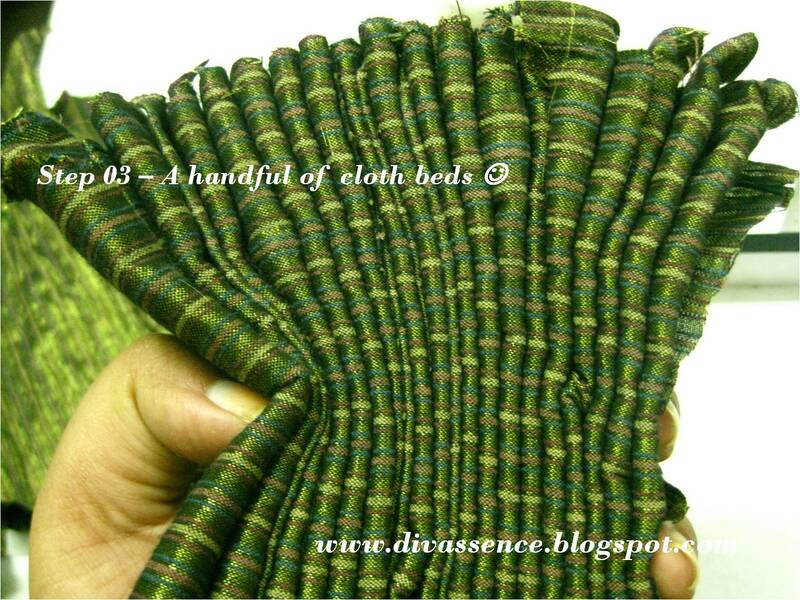 STEP03: Once you are good with the first cloth bed, repeat the process (STEP02) and make 15 to 20 cloth beds based on the size of your box. 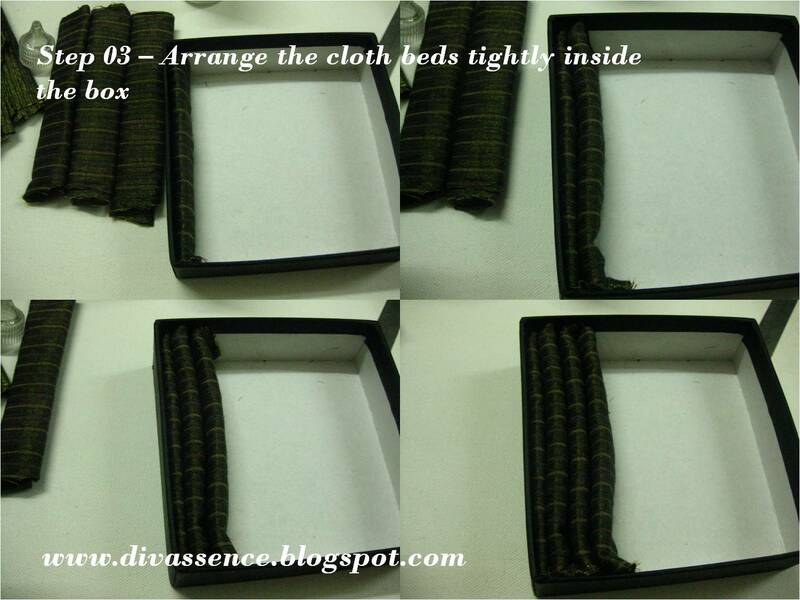 The cloth beds need to be fitted and filled inside the box tightly. 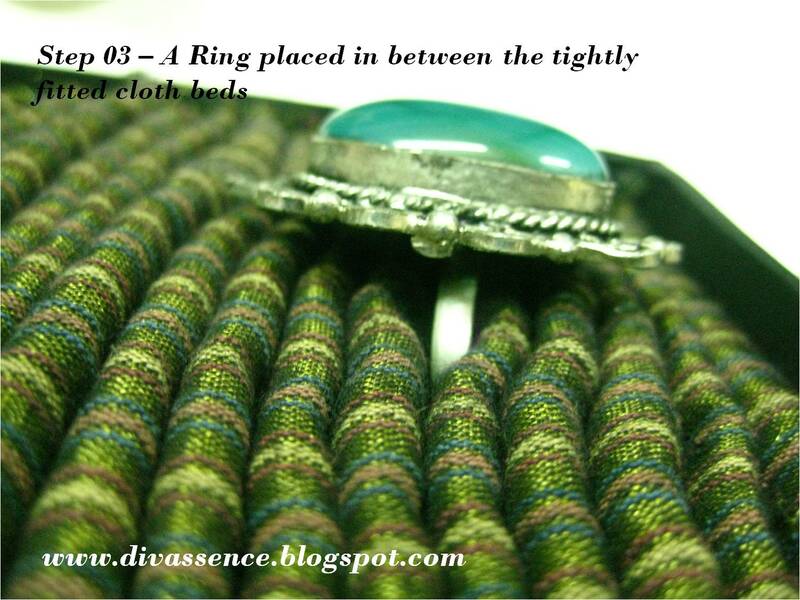 Remember your rings will be placed in between 2 cloth beds as shown in the picture. 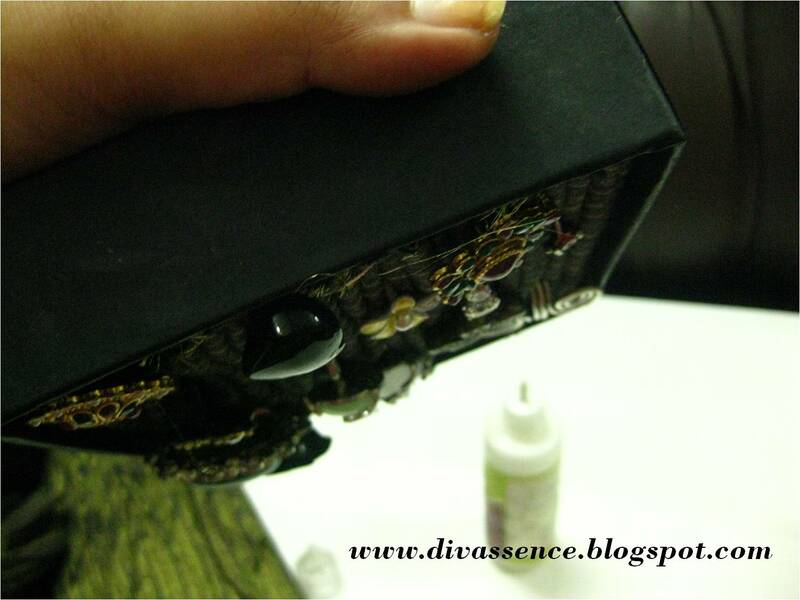 So keep that in mind and fill the cloth beds inside the box. That’s it guys 😀 the main part is over 😀 you can now start placing your rings in between the cloth beds as shown below. 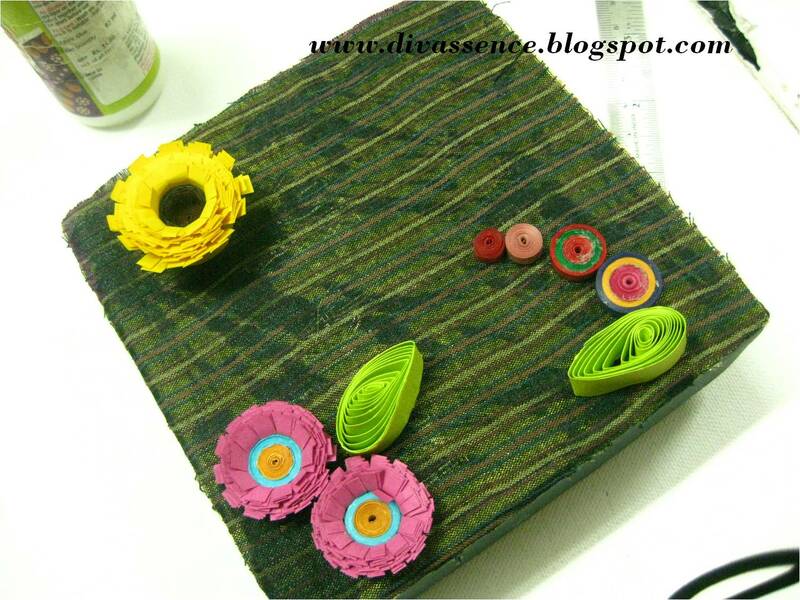 STEP04: This step is optional; I decorated the box cover by covering it with the same piece of cloth. Again you can use the same color or a different color. 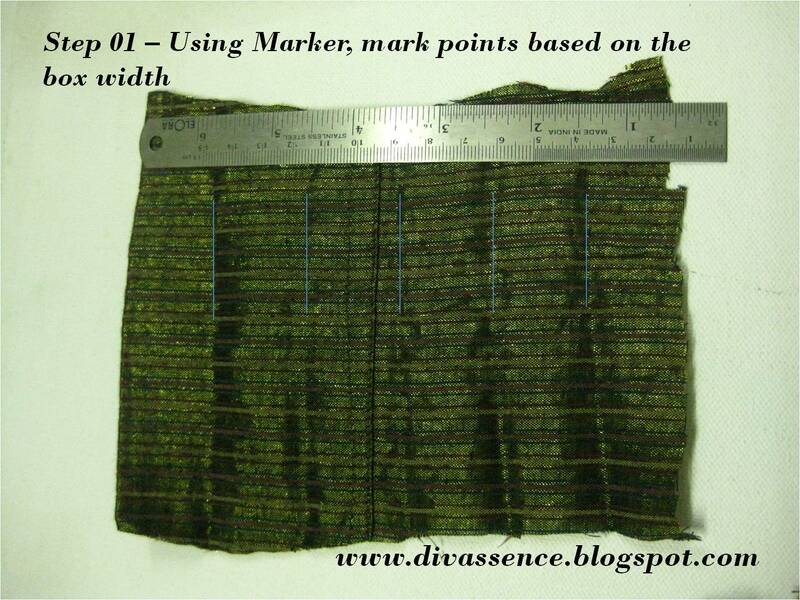 In this case I have used the same color cloth. 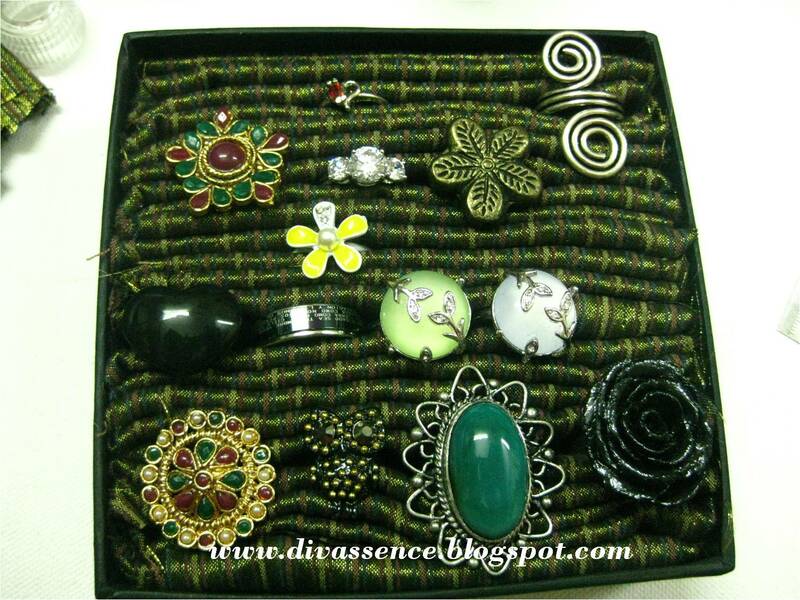 amazing idea!! im going to do this for sure!!! 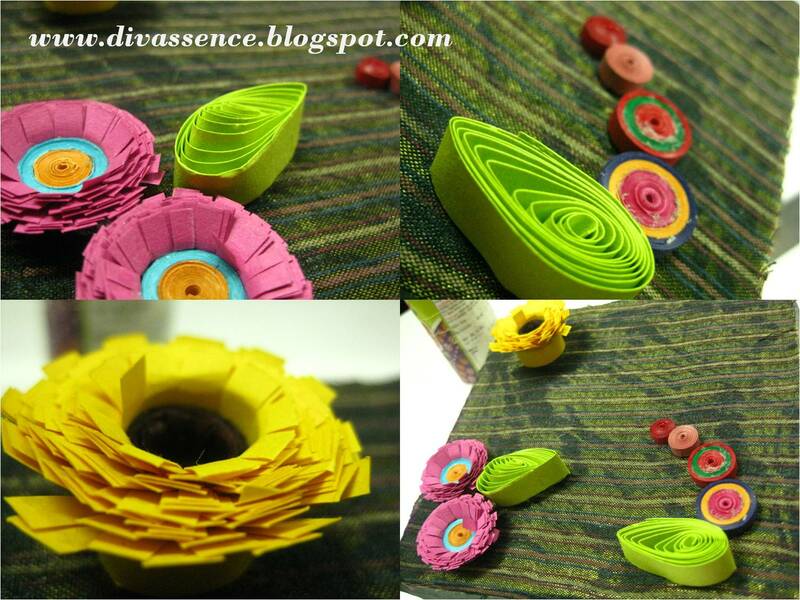 amazing and so creative, Rekha!